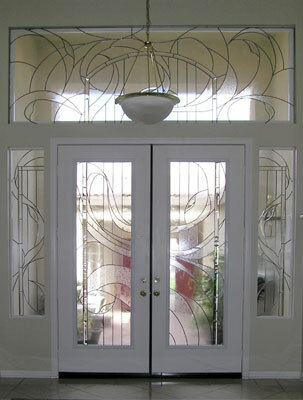 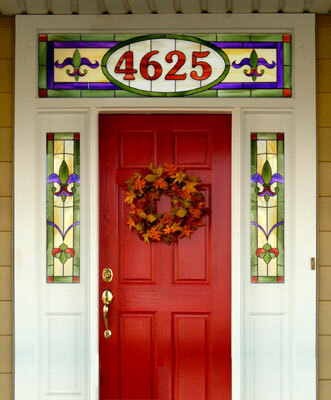 Stained glass overlay is a modern approach to making stained and cut leaded glass. 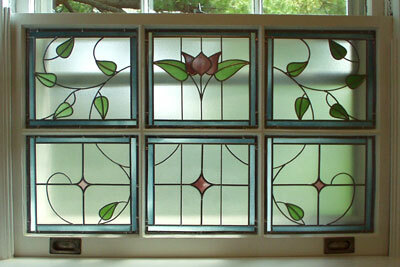 Rather than assembling separate pieces of glass in a lead framework, we start with a solid pane of glass. 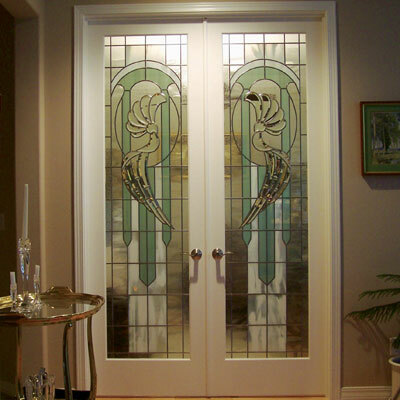 We then cut and bond a thin layer of color or texture onto the surface of the glass, followed by an application of lead to create the design. 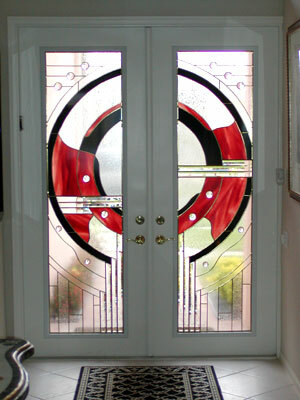 Bevels, jewels and even photos can also be incorporated into the design in a similar manner. 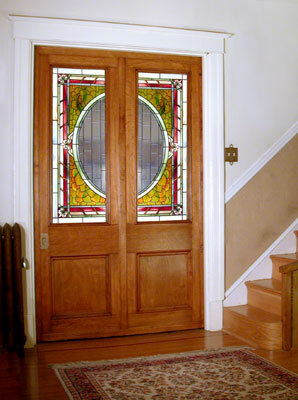 The finished product has both the look and feel of traditional glass, but the strength and integrity of a solid piece of safety glass. 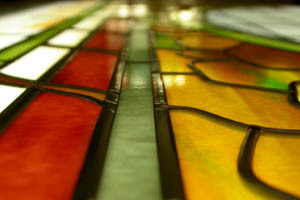 Because the colors are handmade and assembled, not printed, each piece is unique and the product of our artist's eye. 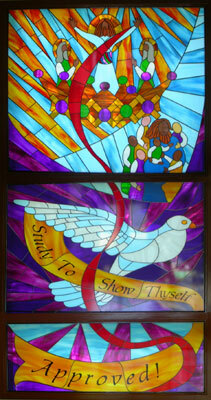 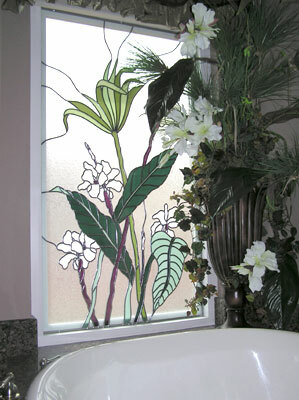 Stained glass overlay is our most flexible style of glass. 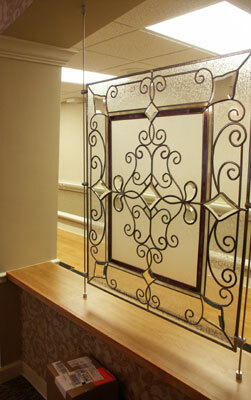 Every piece we make is custom, designed in consultation with you to fit seamlessly into the space. 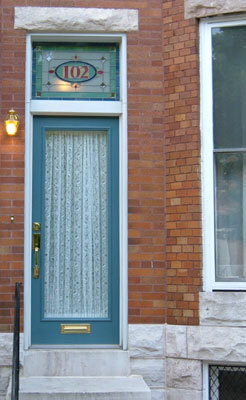 With a variety of lead types and hundreds of colors and textures to choose from, we can achieve nearly any look and style. 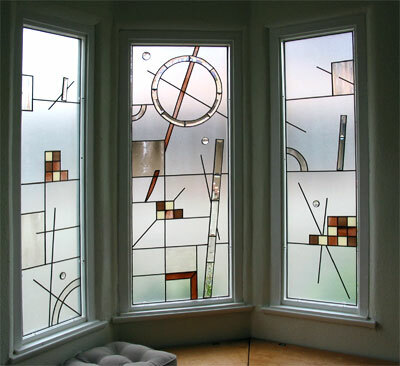 Stained glass overlay offers complete freedom without the design limitations of cut glass, such as structural support and the nature of glass cutting. 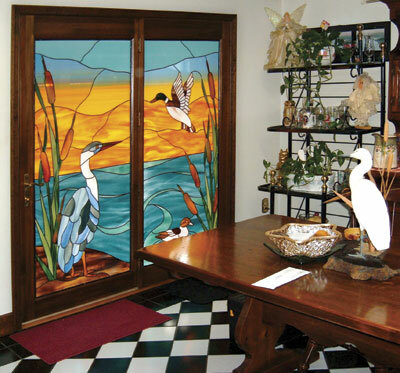 Whether the goal is privacy, light control, or simply a decorative accent, we can make a piece of practical art perfectly suited to your home and business. 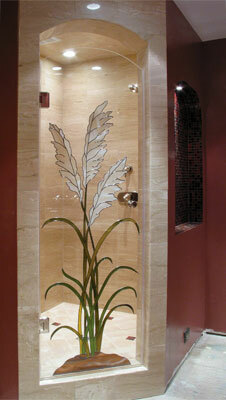 Perhaps the biggest advantage to overlay, though, is the flexibility it offers in installation. 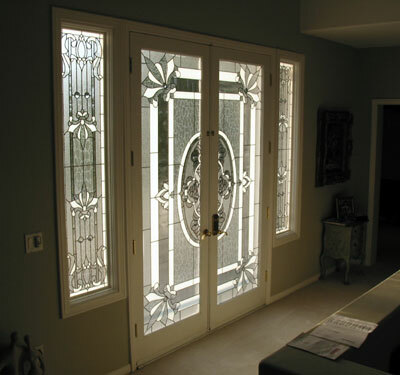 Many customers opt to install the glass simply as a window treatment, mounted flush against an existing clear glass window without taking apart the frame at all. 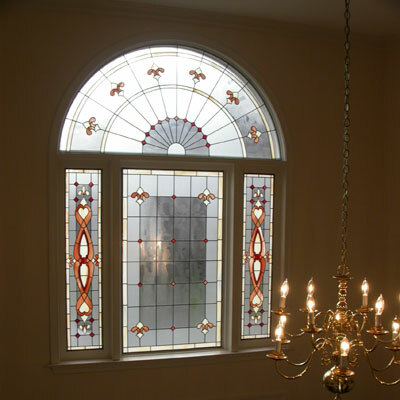 When it makes more sense to replace the existing glass, the decorative glass installs the same as any solid window because it is a solid window. 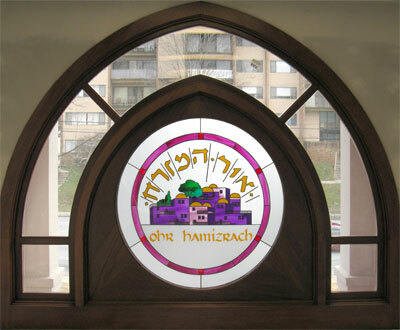 Airtight and weatherproof, there's no need to create an insulated unit, but when insulation is desired, a much thinner unit can be achieved. 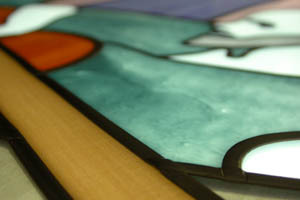 An incorporated UV inhibitor protects the bond as well as the colors from fading. 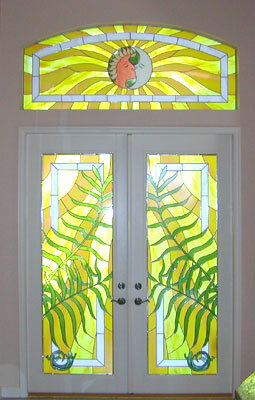 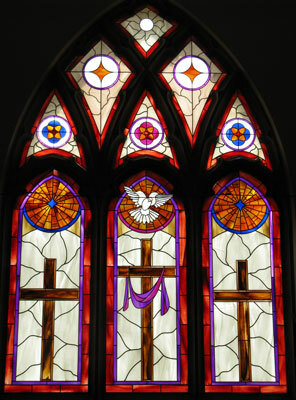 Additionally, by its very nature, stained glass overlay conforms to safety glass specifications. 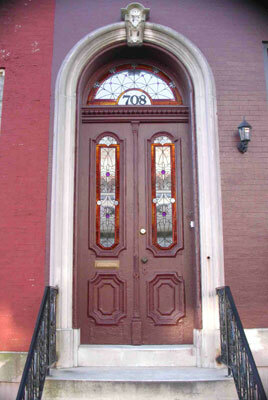 No part of this website may be reproduced or used without permission. 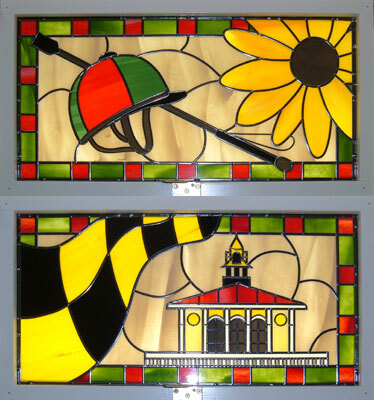 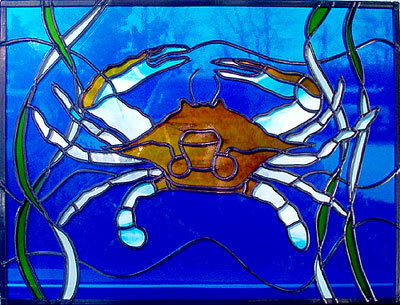 SGO Designer Glass of Baltimore, Inc.